Smartphones, tablets, laptops, netbooks; 70% of workers who own a device bring them to work. If your company is allowing for Bring Your Own Device (BYOD), then you will want professional support to get the most out of it- and to guard against a security disaster. Letting your employees bring in all of their devices without preparing your network, exposes your network to some pretty serious security risks. BYOD can work well for your business, but you need policies and procedures in place to protect your network. 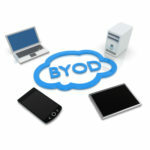 Without a BYOD plan, random devices will show up all over your network, putting your business at risk. Obviously, personal use devices that go home at the end of the day are at increased risk for all kinds of nasty things that could harm your network. 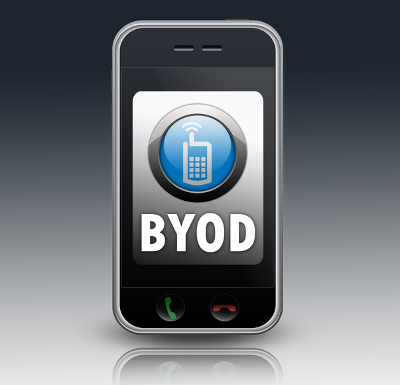 A network that is properly set up for BYOD will protect your business from all that. 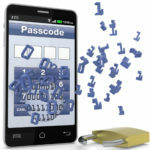 We can set up a safe interface portal for your BYOD devices. We have several options that will protect your network effectively, such as routinely scanning the new device before it logs onto your network. Whatever device policy you enact, each device brought into your office will have to abide by it. At Quikteks we can help set up your network so that no unauthorized device will be able to access sensitive company information. If you want to get the most from a BYOD program, you’ll want to get a managed IT plan that covers your employee’s devices. Your employees are bringing in their devices; they chose them, they like them, they paid for them. 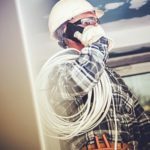 Providing support for your employee’s devices supports and protects your network, but your employees will also appreciate this benefit. Device management and support will vary with each device; for a list of devices that Quikteks supports, give us a call at (973)-882-4644. Including Quikteks in your BYOD plan will make all of the devices in your office work for your business. Contact Quikteks and let us help you seamlessly integrate all of the personal devices on your network so that your technology can work for you!